Monessen police are looking for two men involved in a drive-by shooting Tuesday afternoon. City police were called to Somerset Street around 2:20 p.m. when neighbors heard gunfire. Police Chief John Mandarino said the suspects, believed to be white or light-skinned black men in a black or dark blue sport utility vehicle, were traveling down Somerset Street when one of the men shot toward a house. The bullets struck three houses on the same block. As expected, the Oklahoma-based firm that wants to build a controversial natural gas pipeline through western Lancaster County has submitted its formal application to the Federal Energy Regulatory Commission. The Transcontinental Gas Pipeline Company, owned by Williams Partners, submitted its application for a certificate of “public convenience and necessity” early Tuesday. The company hopes to get FERC approval and begin pipeline construction in Lancaster County in July 2016. “This process will continue and it’s far from over. But it’s a significant milestone though,” Williams spokesman Chris Stockton said. FERC has never rejected a Williams application for a pipeline, although the agency has required changes in pipeline routes. Williams is the nation’s largest pipeline owner. If it seems the Lehigh Valley is growing jobs at a faster rate than other parts of the state, a new study says that’s true. The valley Statistical Metropolitan Area now has nearly 3 percent more jobs than it did in December 2007, the Lehigh Valley Economic Development Corp. reports from its analysis. That’s a larger percentage gain than any of the other eight Metropolitan Statistical Areas — Philadelphla-Camden-Wilmington, Pittsburgh, Erie, Harrisburg-Carlisle, Lancaster, Reading, Scranton/Wilkes-Barre and York — studied in Pennsylvania, according to a news release. The Lehigh Valley statistical area includes Carbon, Lehigh and Northampton counties in Pennsylvania and Warren County in New Jersey, according to the Federal Reserve Bank of Philadelphia. Bolaris: Where The Heck Is Spring? This is the time of the year when your throw your arms up and yell, “I’m as mad as hell and I’m not going to take this anymore!! !” (That’s the famous quote from the 1976 movie Network about a former anchor’s ravings over the media’s quest for profits.) Hmm, I think director Sidney Lumet was on to something. Back to weather. Yes, we do have a chance of some wet snow this evening, but this will be solely confined across the distant northern and western suburbs. The Lehigh Valley and the Poconos could pick up an inch or two in the highest elevations. Most of the region, including the city, will see a cold rain arriving during the afternoon and continuing through the evening rush. I’m also including a few scattered thunderstorms across extreme South Jersey and Delaware. PHOTO: Students work in the state-of-the-art radiography simulation laboratory at Montgomery County Community College’s West Campus in Pottstown. Pottstown, Pa.— Montgomery County Community College’s (MCCC) Radiography program recently received full reaccreditation from the Joint Review Committee on Education in Radiologic Technology (JRCERT) through 2022. The eight-year accreditation is the maximum award possible, and MCCC met JRCERT’s required standards and objectives without any recommendations or suggestions. MCCC introduced its Associate in Applied Science (A.A.S) degree program in Radiography in 2003 in response to a documented shortage of radiologic technologists in the tri-county region. The program, based at the College’s West Campus in Pottstown, integrates theory, on-campus laboratory simulations and clinical competency experiences at area hospitals. Since its introduction 12 years ago, more than 120 students have graduated from the program, and for six consecutive years, 100 percent of the program’s students passed the American Registry of Radiologic Technologists (AART) National Certifying Exam. Graduates may choose to enter the workforce immediately upon certification or may choose to transfer to a four-year college or university to pursue bachelor’s or master’s degrees in radiography or a related health sciences field. Certified radiologic technologists perform diagnostic imaging procedures, including x-ray, CT scan, MRI and mammography to assist in the diagnosis of illness. More than half are employed in hospitals, but jobs are also available in physician offices, medical and diagnostic laboratories and outpatient care centers. According to the U.S. Bureau of Labor Statistics’ “Occupational Outlook Handbook,” employment opportunities for radiologic technologists are expected to grow by 21 percent through 2022, significantly higher than the average growth rate of 11 percent for all occupations. In 2012, the median wage for radiologic technologists was $54,620. 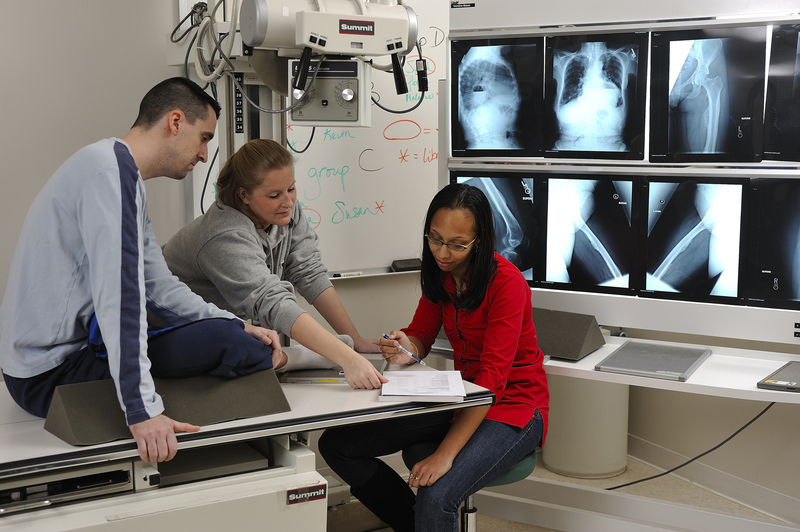 To learn more about Montgomery County Community College’s Radiography program, visit http://www.mc3.edu/academics and choose Areas of Study, followed by Health Sciences and Radiography. Blue Bell Pa.—To encourage and inspire students to become part of Phi Theta Kappa (PTK), the international honor society for two-year colleges, Montgomery County Community College (MCCC) President Karen A. Stout has generously pledged $30,000 to establish a Phi Theta Kappa Annual Challenge Fund through the College’s Foundation. Phi Theta Kappa membership offers students a significant advantage when it comes to college success and completion. 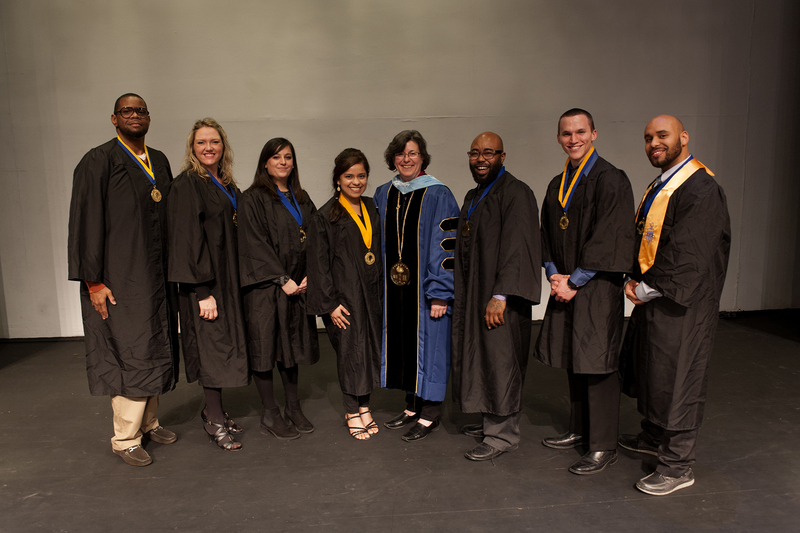 In fact, a recent national study reveals that PTK members in Pennsylvania have an overall success rate of 92 percent—that’s four times higher than the success rate for all of the state’s community college students. However, despite the documented impact, only 14 percent of PTK-eligible students nationally join the organization. With a current membership fee of $60, cost is a likely barrier for many eligible students. The Karen A. Stout Phi Theta Kappa Challenge Fund will support qualified students by defraying half the cost of a PTK membership, while challenging students to match the remaining cost. Students must be eligible for Pell Grant funding and PTK membership to qualify. Members of PTK must maintain a 3.5 GPA and must have completed at least 12 credits. As a member of MCCC’s Phi Theta Kappa chapters—Alpha Kappa Zeta at the Central Campus in Blue Bell or Beta Tau Lambda at the West Campus in Pottstown—students are afforded the opportunity to grow as scholars and servant leaders. By working with their peers and faculty advisors, PTK members examine real-life issues facing their communities, while gaining leadership skills through the organization’s Honors in Action programming. For example, this year’s PTK chapters collected more than 500 pairs of shoes for the community organization In Ian’s Boots; cleaned up a portion of the Schuylkill River; and partnered with Theatre Horizon and the Coordinated Homeless Outreach Center in Norristown on a community education/public art project. In addition, both of MCCC’s chapters achieved the distinction of Five Star Status—the highest level of national recognition possible—for progressing through the organization’s Five Star Chapter Development Plan. PTK members also have access to exclusive transfer scholarship information and opportunities, which will help them continue their education after graduating from MCCC. The Karen A. Stout Phi Theta Kappa Challenge Fund is part of the Foundation’s first-ever comprehensive fundraising campaign, “Futures Rising: The Campaign for Montgomery County Community College,” which looks to raise $9 million for student scholarships. To learn more or to get involved, visit http://www.mc3.edu/futures. 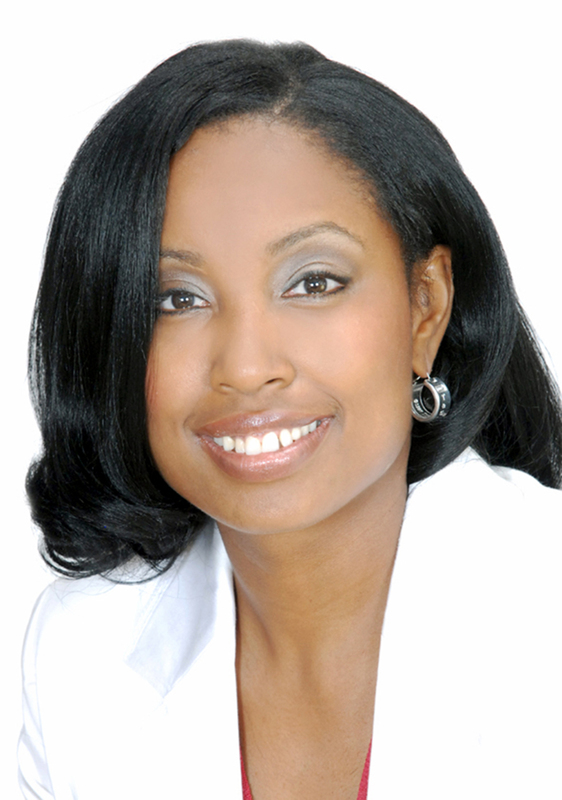 Blue Bell/Pottstown, Pa.—Montgomery County Community College is pleased to announce the appointment of Anisha Robinson Keeys, of Norristown, to its Board of Trustees by the Montgomery County Board of Commissioners. The 15-person Board of Trustees is the policy and governing body of Montgomery County Community College. With 18 years of fundraising and marketing experience, Robinson Keeys serves as Chief Executive Officer of Lance + Lee Planning. She advises corporations and philanthropists on how to make the largest impact with their money. She also helps organizations and thought leaders with corporate fundraising and organizational development. In addition to operating a consulting practice, Robinson Keeys has held leadership roles with a variety of organizations, including the American Heart Association, the American Red Cross, and Teach For America. Robinson Keeys is a frequent speaker at conferences and leadership retreats across the country. Robinson Keeys holds a Bachelor of Business Administration from Chestnut Hill College. She is also a member of the institution’s Woman Donors Network, where she serves as an advisor for the Reflective Democracy Initiative. She also serves on the board of directors for the Columbia North YMCA, Rosebug 1919 Foundation, Livingbattlefield and the Solomon Principal Group. West Goshen Township, PA – Two people were killed when the small plane they were flying in crashed in the 1000 block of Saunders Lane, near Andrews Drive, in West Goshen at 1:34 p.m. Sunday afternoon, county officials said. Dispatchers said two people were found dead following the crash. An official said they were the only people on board. The aircraft, a single-engine Piper PA28, had taken off from the Brandywine Airport and flown over Route 202, before it went out of control and crashed in a field about two miles away from the airport, officials said. Emergency crews reported that the plane burst into flames following the crash. WILKES-BARRE, PA — A city police officer sustained a possible broken nose and another officer was punched in the face while arresting a suspected drunken driver early Sunday morning. The incident happened on South Main Street near Ross Street when officers Daniel Roper and Erica Oswald stopped Steven Santiago, 33, for driving a vehicle without headlights. During the traffic stop, Santiago exhibited signs of intoxication and was asked to exit his vehicle. While standing near the back of his car, Santiago refused to submit to a breath test, according to the criminal complaint. Santiago admitted he consumed alcoholic beverages before he was stopped by police, the complaint says. The Bethlehem Parking Authority is moving forward with a study for a new South Side parking garage despite any concrete plans for the major buildings for which the garage is supposed to be needed. Authority Executive Director Kevin Livingston said the authority can’t wait for developer Dennis Benner to have signed tenants for his planned South Side buildings because the authority could lose the state grant funding set aside for the garage. Bethlehem has filed for an extension for the $5.2 million in state grant funding but isn’t sure if the extension will be approved, Livingston said. “We’re obviously afraid of losing it,” he said. AeroFarms, an aeroponics company that was started in 2004, is bringing what is soon to be the world’s largest vertical farm to a former steel factory in Newark, New Jersey’s Ironbound community. The vertical farm will manufacture short, leafy green vegetables grown in vertically stacked trays that will fill 69,000 square feet of the former Newark factory. In Hays there will be no eaglets. Late Friday the Western Pennsylvania Audubon Society confirmed that the second of two eggs laid a month ago was no longer viable. The first broken egg was pushed out of the nest March 14. It was a disappointing conclusion to the bald eagles’ third breeding season. The 6 1/2-year-old female laid the first egg Feb. 17 and the second Feb. 20, to the glee of thousands of eagle watchers in Pittsburgh and beyond watching streaming video from a wildlife camera mounted near the nest. This is the second year the state Game Commission has permitted the camera system, donated by the Murrysville-based PixController security camera company, and this year managed by the local Audubon chapter. HAZLE TOWNSHIP, PA — Heroin packets were found on dough being processed on a production line at Aryzta, a commercial baker of breads and donuts, earlier this week, state police at Hazleton said. State police in a news release said an employee checking dough on a production line to a sheet dough machine found a suspected heroin packet at about 6 p.m. Monday. The employee notified a shift supervisor as production was stopped and inspected. Other suspected heroin packets and drug paraphernalia were found inside the dough machine, state police said. State police said Aryzta, based in Zurich, Switzerland, stopped production on the dough machine and destroyed all the products. Discount grocer Aldi said Friday that it will reopen 30 of the 66 former Bottom Dollar stores it took over in Pennsylvania, South Jersey, and northeast Ohio after the previous owner, the Delhaize Group, shut Bottom Dollar last year. Five ex-Bottom Dollar stores in Philadelphia and 14 in the suburbs will reopen. Four Philadelphia stores will stay shut, along with 13 in the suburbs. Aldi, an Illinois-based U.S. arm of Germany’s Albrecht family grocery conglomerate, said in 2013 it planned a $3 billion expansion, and Friday’s announcement is part of that effort. Creepy ‘Spies’ Killing Live Music At Local Venues? THREE-FIFTHS OF Chris Aschman’s jazz quintet managed to fit onto the tiny stage upstairs at Jose Pistola’s, where the crimson glow makes musicians look like they’re playing in Amsterdam’s red-light district. Aschman, a 29-year-old trumpet player, stayed on the floor, next to the saxophonist. Then, the bassist reached overhead and turned off the TV and the audience of 20-somethings switched their attention from NCAA basketball to a funky, odd-time-signature groove driven by a young drummer in a Phillies cap who stomps on the kick drum like he’s got something to prove. The song, called “UCB,” short for “Undercover Brother,” is an Aschman original, as were nine of the 11 songs his group played at the Center City bar earlier this month. Allentown, PA — Muhlenberg College dancers tell their stories through movement, as the Muhlenberg Theatre & Dance Department presents “Dance Emerge,” a showcase for dance works created by emerging choreographers, April 16-18 in the College’s Baker Theatre. Jeffrey Peterson is the artistic director for the concert. “Dance Emerge” will showcase 12 choreographers and 60 dancers from the department’s dance program, which is among the most highly regarded programs of its kind. The concert features costume and lighting designs by the department’s acclaimed professional staff. The 12 original dances include contemporary jazz, dance theater, and modern works that investigate such topics as platonic love, the grieving process, and the individual vs. the whole. Choreographers drew inspiration from such diverse sources as dance history, travel, personal relationships, and college experiences. Muhlenberg College’s Theatre & Dance Department offers one of the top-rated college performance programs in the county, according to the Princeton Review rankings. Muhlenberg is a liberal arts college of more than 2,200 students in Allentown, Pa., offering Bachelor of Arts degrees in theater and dance. It has been named annually among The Fiske Guide to Colleges’ top 20 small college programs in the United States, and the American College Dance Festival Association has consistently recognized dances premiered on the Muhlenberg stage for excellence in choreography and performance. “Dance Emerge” runs April 16-18 in the Baker Theatre, Trexler Pavilion for Theatre & Dance, Muhlenberg College, 2400 Chew St., Allentown. Performances are April 16-18: Thursday and Friday at 8 p.m.; Saturday, April 12, at 2 and 8 p.m. Tickets are $15 for adults, $8 for patrons 17 and under, and $8 for students, faculty and staff of all LVAIC colleges. Tickets and information are available at 484-664-3333 or muhlenberg.edu/dance. 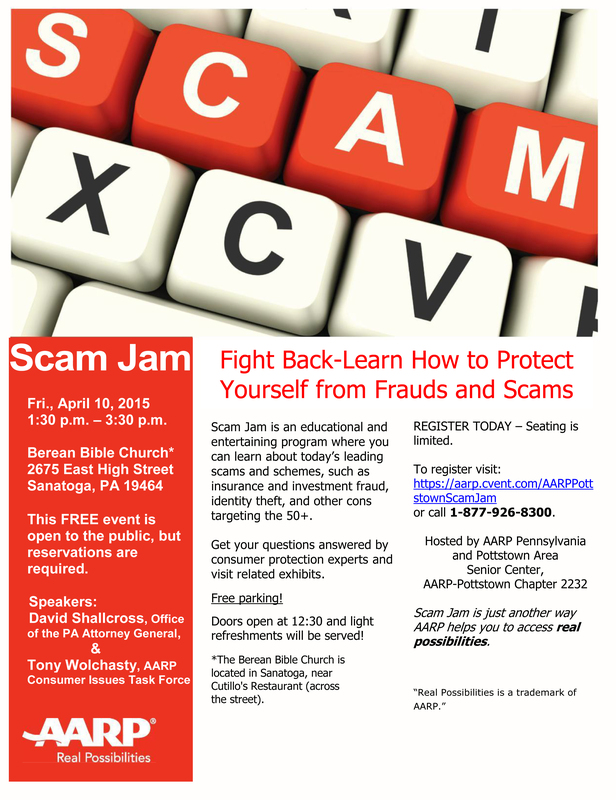 http://flymagazine.net/ is a great site to visit if you live in or visit Lancaster, York or Harrisburg. Keeps you up to date on what’s going on, events, dining, music and arts and culture. Happy Friday! A lot of people in this part of the nation swore they’d move south during this year’s harsh winter. It appears many of them already have. According to estimates released Thursday by the U.S. Census Bureau, warm regions regained population growth momentum last year that was lost during the recession. But population fell in the area comprised of Luzerne, Lackawanna and Wyoming counties. Fourteen of the 20 fastest-growing metropolitan areas were in Florida, Texas or the Carolinas, led by The Villages near Orlando, which grew by 5.4 percent between July 1, 2013 and July 1, 2014. In contrast, the fastest-growing metro areas in Pennsylvania grew by 0.6 percent. The bureau estimated that the population in the Scranton/Wilkes-Barre area fell by 2,159, or 0.4 percent over the year. Within the three-county region, Lackawanna County lost the most, 1,115, or 0.5 percent. Luzerne County’s population declined 1,033, or 0.3 percent, and Wyoming County’s was relatively unchanged. For more than a decade, Virginia Summers anticipated the day she could gaze across the street from her Donora home and see – nothing. She is about to get her wish. The borough on Thursday began demolition of the century-old building known as Fifth Street School. The structure, located at the intersection of Fifth Street and Allen Avenue, has been deteriorating for years and had become a safety issue.